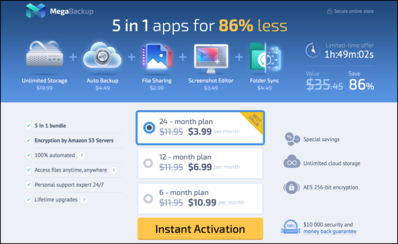 MegaBackup is a cloud-based storage service that allows you to back up your files to the cloud and protect your data in the event of your Mac crashing catastrophically, or being damaged or stolen. How, then, did lots of people come to think of it as a virus? Is there a MegaBackup Virus? Firstly, and most importantly, there is no MegaBackup virus. A virus is a piece of malware that replicates itself and spreads from computer to computer over a network, or via shared storage. This is not the case with MegaBackup. However, MegaBackup has been identified as a potentially unwanted program (PUP). This is because of some of the tactics used by the developers in its free version. MegaBackup can be downloaded for free and some of its features can be used at not cost. But not everyone who downloads MegaBackup does so intentionally. Lots of users have found it on their Mac without deliberately installing it. This is thanks to a technique known as ‘bundling’ where makers of dubious applications package their software with other apps in an attempt to place them on users’ computers. And when users try to uninstall it, they find it’s not as easy as it should be. Worse, many PUPs send user data back to a server, capturing things like IP addresses and informations from web browsers, like URLs visited and pages viewed. This is then shared with makers of adware. No application that behaves like that, nor any that installs itself on your Mac without you knowledge, should be allowed to stay there. You should get rid of it as soon as possible. Sadly, as we said above, removing MegaBackup isn’t so easy. However, it can be done, by following the steps below. If you use a different browser, you should remove cookies in those too. If all that sounds like a lengthy and complicated process, there is an easier way. 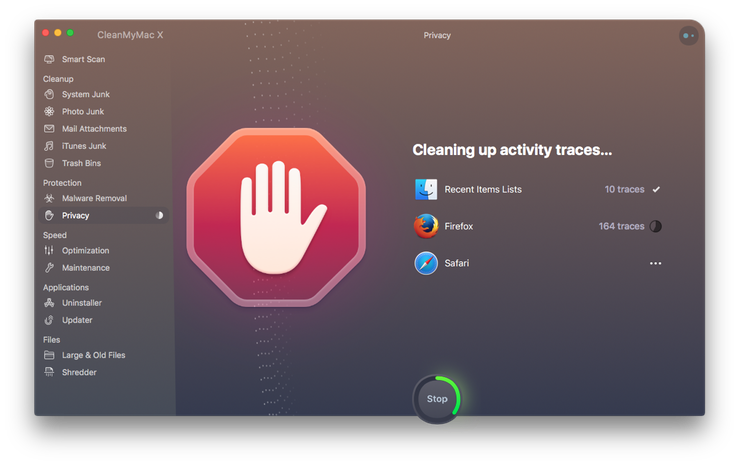 CleanMyMac X can uninstall apps, removing all traces of them, as well as removing browser data. If an application installs a Login Item or Launch Agent, you can remove those too. And, it can scan your Mac for malware and allows you to remove it with a click. CleanMyMac X also recognizes when your browser settings have been hijacked by malware, for example, to redirect your homepage, and fix it. 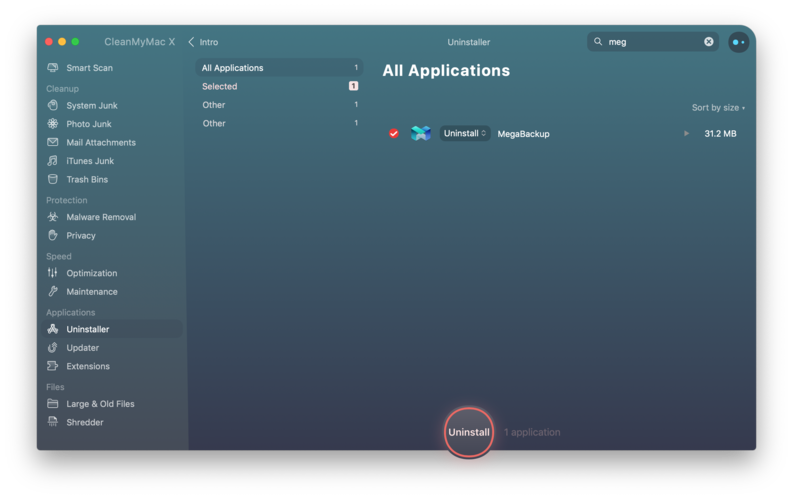 MegaBackup isn’t a virus, but a potentially unwanted program that uses dubious methods to download itself to your Mac. If you use it, it will then nag you to upgrade to the premium version and pay for a subscription. Even if you don’t use it, any PUP that bundles itself with other apps and tricks you into installing it may also be harvesting your data and sharing it with others. 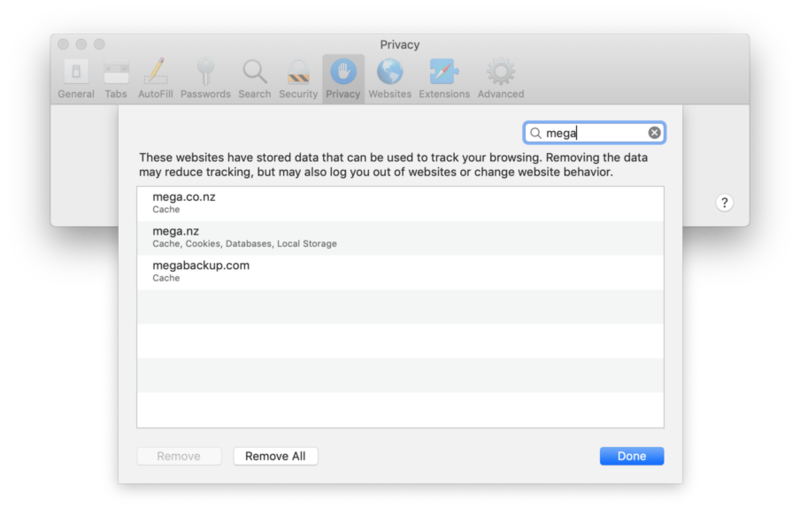 MegaBackup has proved to be difficult to uninstall for some users. However, if you follow the steps above you can remove both MegaBackup and any launch agents, login items or browser cookies that it has installed.